LadyLucks, one of the UK’s most popular mobile casinos, is to release two brand new mobile Slots for its players. Already a firm favourite with many players across the country, LadyLucks has a wide selection of over twenty casino games available for touch phones as well as older style handsets. The touch games can also be played on various tablet devices, meaning players can enjoy a mobile gaming experience wherever they are. LadyLucks specialises in providing some of the best casino games on mobile. They offer a complete gaming experience, including fun Bingo games, Slots, Roulette and Blackjack, meaning players have plenty to choose from. All the games are created in house by a team devoted to making games for mobile and tablet devices. New games are released regularly so players are kept happy with the ever increasing additions to the popular gaming portfolio. It’s not just the new games that keep players coming back to LadyLucks. 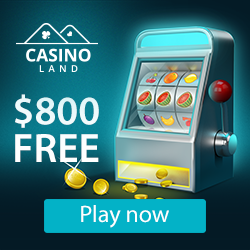 With the latest mobile technology being used to create better games, they also come with brand new features and bigger jackpots! There are numerous jackpot and double jackpot Slot games available at LadyLucks, as well as popular casino favourites, such as Roulette and Blackjack. Mobile Blackjack is one of the most popular games and gives players the opportunity to play three hands against the dealer, creating more chances to win. The mobile games on hand feature various themes and can provide hours of entertainment. Lock and load on the fun War Zone Slot or enjoy a traditional pub-style fruit machine on the Super Fruity Slot. With many different and exciting themes there really is something for everyone. LadyLucks has become very popular across the UK and has a loyal and growing customer base. Their Facebook page has an active and growing community – players talk about their wins, the different games and can enjoy bespoke promotions exclusive to the social media site. New players to LadyLucks will be gifted with a £5 Bonus on registration as well as a 100% deposit match on their first three deposits. On top of monthly promotions, which this month involves the chance to win a pair of tickets to the Ladies Semi Finals at Wimbledon, LadyLucks is a veritable haven of mobile gaming, so don’t miss out! Keep up to date with LadyLucks and find out about their latest releases.